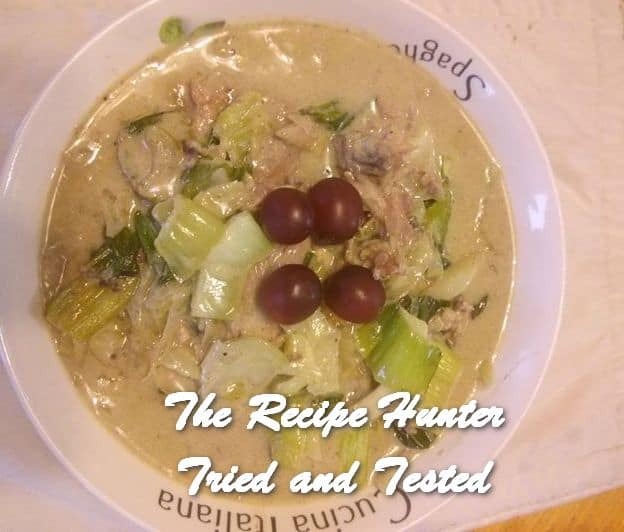 Traditionally more of a soup, but by a thickening it up and keto adapting it, it becomes a wonderful main dish. This is a go to favourite of ours on a cold day. Then again it’s a wonderful summer dish as well, served cold or slightly warm. We tend to use duck over chicken as the flavours and fats are so much yummier than chicken. Thus dish is listed with chicken for ease but we substitute duck from the roast Peking duck we do often. Heat 1 Tbls fat in hot cast-iron skillet. Reduce heat to medium and saute cabbage until wilted. Season with salt and Set aside keeping the fats. Heat remaining fat and add chicken and saute for 5 min. Don’t worry about being fully cooked they cook in the next steps. Add shallots and saute for 1 min, reduce heat to low and add curry paste, broth and coconut cream. Simmer uncover to 20-40 min to reduce (the longer the thicker the sauce gets). Once chicken is cooked add cabbage back in and warm through. Stir in cilantro and squeeze a lime for added flavour (optional). Remove from heat and serve in bowls.